Optimus Prime will indeed appear in the upcoming Bumblebee solo movie. Paramount brought a big showing for the Transformers spin-off, which takes place decades before the events of the Michael Bay movies, to San Diego Comic-Con this year. The studio is doing their best to wash the bad taste away that was left behind by Transformers: The Last Knight last year. Even though this movie is going to center on the beloved yellow Autobot, the leader of the Autobots will have a presence in the movie. Director Travis Knight was on hand at #SDCC2018. 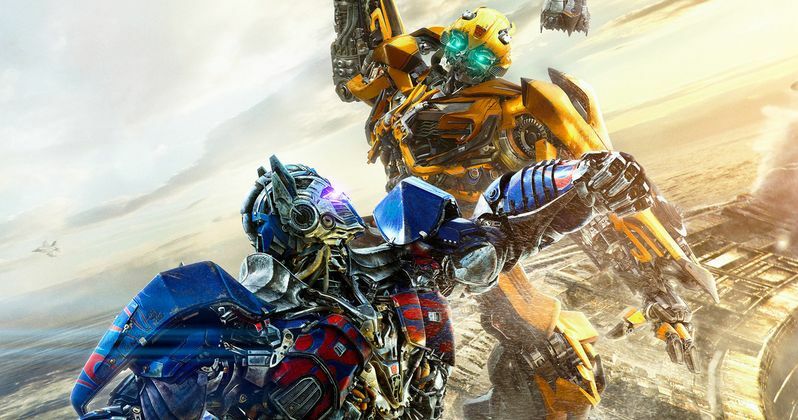 During an interview, the director confirmed that Optimus Prime does have at least a cameo in Bumblebee. In some new footage that was showcased at the event, Optimus reportedly appeared via a hologram. It isn't clear if that's the came that Knight is referring to here, but he promises that this movie is going to be full of Easter eggs that will make Transformers fans very happy. Here's what Knight had to say about it. "I can confirm that Optimus does make something of an appearance. A cameo of sorts in the film. So yes, he is in the film. Yes. We have a lot of wonderful little easter eggs that are kind of laid out throughout the film. You don't need to know anything about the Transformers to enjoy it. But there are a lot of fun things for fans like me, fans of the series. There are a lot of fun aspects of the whole franchise that we weave into the narrative." This is the first movie in the franchise that won't be directed by Michael Bay. Travis Knight previously directed the well-received animated feature Kubo and the Two Strings. The cast for the movie includes Hailee Steinfeld, John Cena, Jorge Lendeborg Jr., Jason Drucker, Abby Quinn, Rachel Crow, Ricardo Hoyos and Gracie Dzienny. Angela Bassett and Justin Theroux voice a pair of new Decepticon villains that will be "triple-changers." It was also confirmed during SDCC that the main villain will be Blitzwing, who was previously thought to be Starscream, the right-hand robot to Megatron that has been featured in previous movies. The fighter jet Decepticon was glimpsed in the first teaser trailer for Bumblebee and was featured heavily in the new footage, which has yet to make its way online. Bumblebee takes place during the 1980s and will be smaller in scope, relatively speaking, when compared to previous Transformers movies. Paramount is set to release the spin-off on December 21, which makes it the first movie in the franchise not to open during the summer. Warner Bros. is also releasing Aquaman on the same day, which could result in the movies sort of eating one another's audience at the box office and it doesn't appear that either movie is going to shift its release date at this point. You can check out the video clip of Travis Knight, courtesy of the Fandango Twitter account, for yourself below.